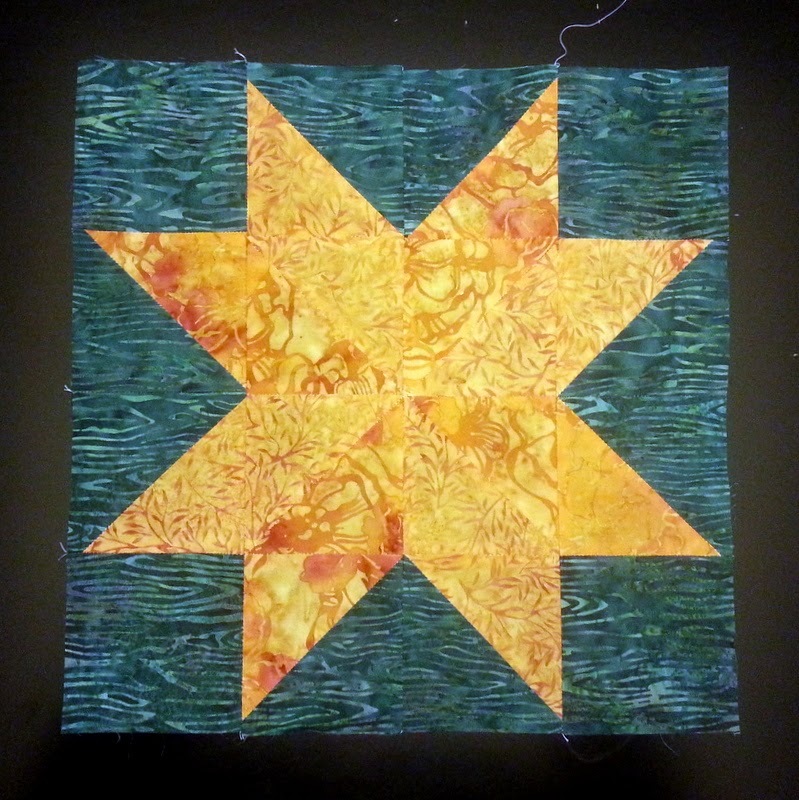 I am rather unhappy about this block, I haven't summoned enough energy to make a counterpart in my own fabrics. I am teetering on the edge of giving up on this BOM; if the blocks were not free upon completing the previous month's block I might have walked away all together. I think it looks great. Why are you unhappy with it? I think it looks great. I have looked at your other blocks and I think they are going to look really good together. It's a pretty block - you did a fantastic job of keeping the background print oriented with itself. I was wondering why you didn't like it, and it took me a while to find which block it was supposed to be on the overall "map". Is it because there's not a lot of differentiation between the golds? I didn't notice the difference until I'd been scrutinizing everything. Still, it's very pretty and striking. Just comes across differently than the intended valuation. As you say, it's free, so it's not a wash. :) I vote for doing one up in your own fabrics to go with your others!